Laurentine Bayala, documentary filmmaker from Burkina Faso, discusses her research on documentary cinema, the emergence of a documentary film culture, and her film projects. Laurentine, your research on documentary filmmaking in Africa entitled "North and South Documentary Cinema, what kind of collaboration?" ("Cinéma documentaire du nord et du sud : quel types de coopération?") was included in the Cinéma du Réel Africain study group. Some reflections on your research? For my study I made an inventory of documentaries produced from North-South collaboration and found that documentary filmmaking in Africa is reliant on funding from the west. While institutions in the South do provide support for the documentary genre, it is insufficient. To enable the artistic expression of the actual directors of the South, African States must devote more funds to support the "documentaire de création". The University of Gaston Berger in St. Louis, Senegal has become an important location for the study of documentary filmmaking, offering the Masters 2 in Documentary Cinema. In fact, you are an alumna, what were your experiences while studying there? How is the programme structured? The Masters 2 in "documentaire de création" is a professional track at the intersection of theory and practice. Since 2007 it has been part of the University Department of the College of Letters and Human Sciences at the University of Gaston Berger, through a collaboration between UGB and the the Stendhal University of Grenoble and Ardèche Images (Africadoc-France). Each year the Masters programme welcomes eight students from francophone Africa. With the Masters 2, I received training in the entire process of filmmaking which included scriptwriting, on-location shooting and editing. At the end of the programme, I produced a graduation film. During the Masters 2, I encountered for the first time, the exercise of pitching. At the International Documentary Cinema Conference, held in St. Louis since 2002, I pitched a film project with the objective of finding a co-producer. AFRICADOC is also part of the Masters 2 in Documentary Cinema programme, what does it entail? The program AFRICADOC, developed in France by the Ardèche Images Association, provides various types of initiatives in order to create a network in the areas of training, implementation, production and distribution of African film documentaries. Since 2002, Africadoc organizes "Tënk" an annual meeting among documentary professionals in Africa. The programme holds writing residencies and has contributed to the production of fifty documentary films in a dozen African countries. 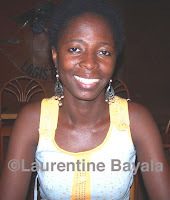 In 2010 Les Rencontres Sobat was launched in Burkina Faso. At the opening ceremony there was a tribute of the elders of African cinema in Burkina Faso. How have "the elders" influenced you as a filmmaker? The works of my elders have certainly inspired me. In the past, when the national television programmed an African or Burkinabè film, I never missed it. Thanks to the elders, I discovered chapters in Burkinabè culture, which helped me forge a cultural identity. Burkina Faso has long been the capital of African cinema, what role has it played in your evolution in cinema? I was a member of the FESPACO film club. Since 2005, I have participated on the TV-video and press committee at FESPACO (Panafafrican Film Festival of Ouagadougou). It was in the film club that scriptwriter-filmmaker Guy Désiré Yaméogo solicited me (with two other friends) to write critiques. He then coached us on a screenplay that won a contest. So I made my first short film Love Without Borders, funded by a Spanish foundation in partnership with FESPACO. In many ways, my first steps in cinema were made thanks to FESPACO. Burkina Faso also has an impressive female presence in cinema. I had the opportunity to meet and talk with several of the women. What are your thoughts on the role and participation of women in Burkinabè cinema? 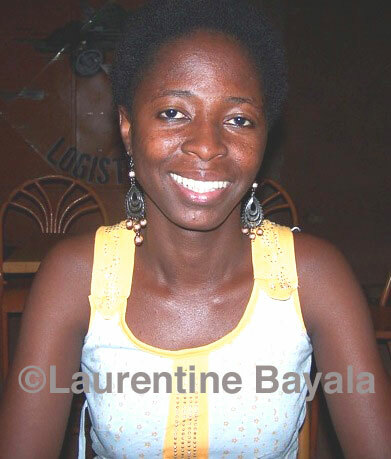 There are many Burkinabè women who have a passion for filmmaking. They are also present in the production line of the image from filmmaking to editing to acting. I am not speaking specifically about women's role in Burkinabè cinema but rather their contribution. Burkinabè women have appropriated the camera to bring their unique voice and particular perspective on the world. It enriches and diversifies their films, and it is Burkinabè cinema that wins as a whole. The first edition of Cinematic Encounters with African Women of the Image was held in Ouagadougou in March 2010, you participated as a filmmaker at the event. What were your impressions? What were the goals and objectives of the event? I think it's a great initiative that also promotes women's work. The first edition enabled me to discover films that I was not able to view at FESPACO. It was also an opportunity for women to discuss the many challenges in cinema. The festival has as objective to promote African films made by women. Your film projects, Amour sans frontières"/"Love Without Borders, "Risquer sa peau"/"Risking one's life", "Mon mal, un male", please talk a bit about them and their reception. Apart from Love Without Borders that I made in 2007, the other two titles have remained works in progress, for lack of funding. I continue to rewrite and submit them to committees. Love Without Borders has been in festivals in Spain, France and Burkina Faso. It is difficult for me to mention its "reception", but I will say that making this film made me want to continue to produce other works.